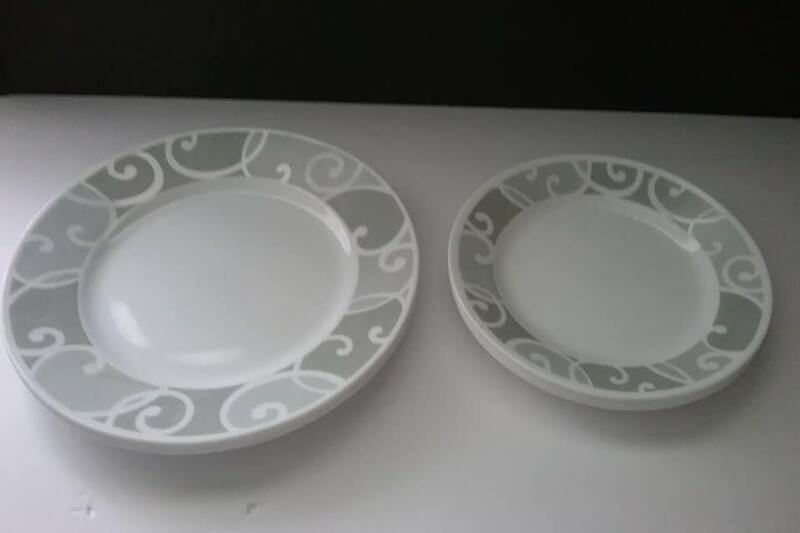 Vintage Corning Ware discontinued set of plates, Very unique grey swirls and ribbons design of this discontinued pattern is stunning. 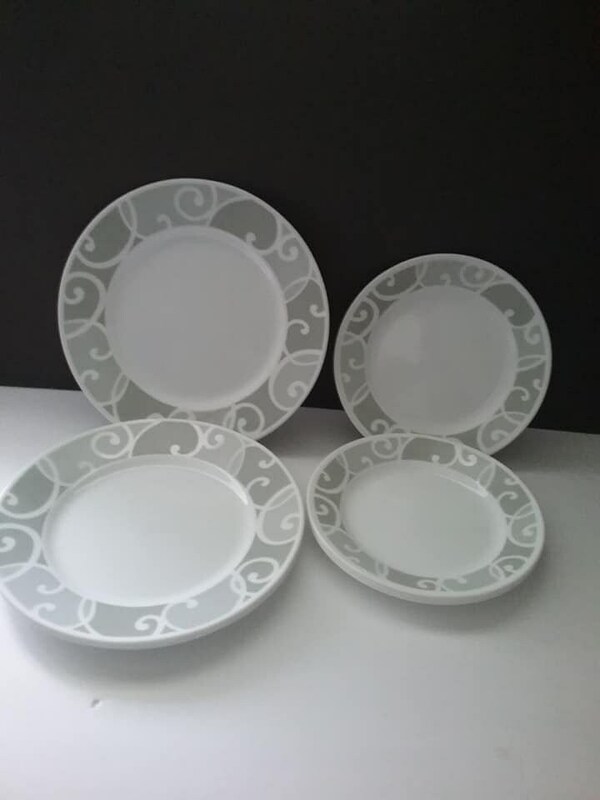 This set of four dinner, and four luncheon plates will complete your set, or is a lovely pattern to collect. 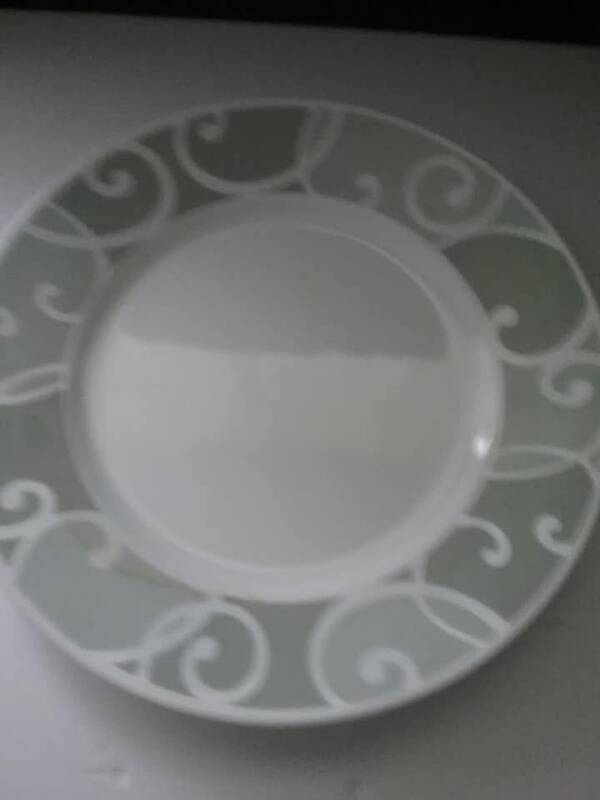 The dinner plates are 10.5", and the luncheon, 8.5" in diameter. 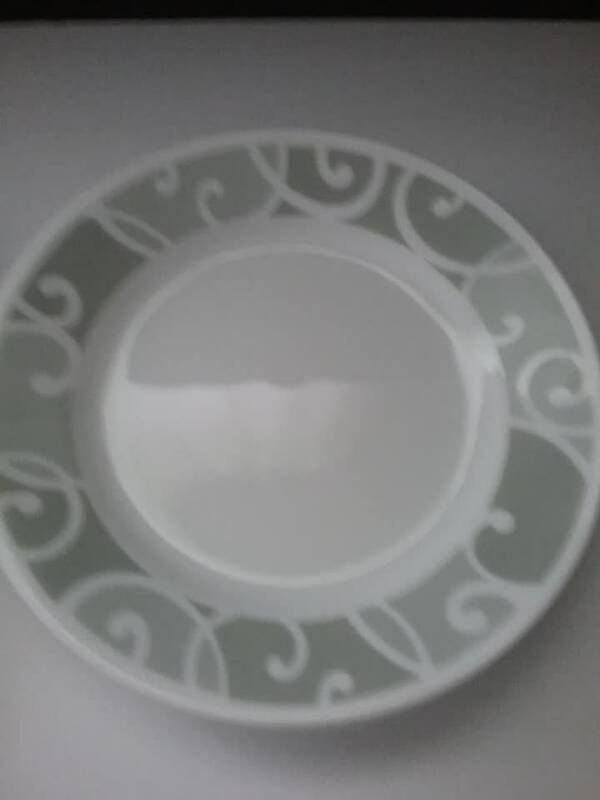 Separately, Replacements.com offer the large plates, $28.93 each, and the smaller, $18.20 each. 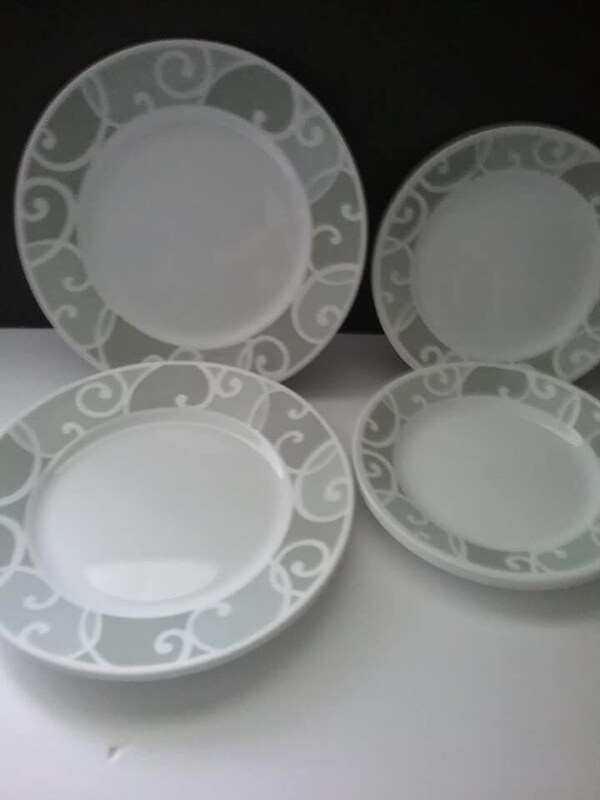 This set, in excellent vintage condition is being priced at $85.99 for all 8 plates. 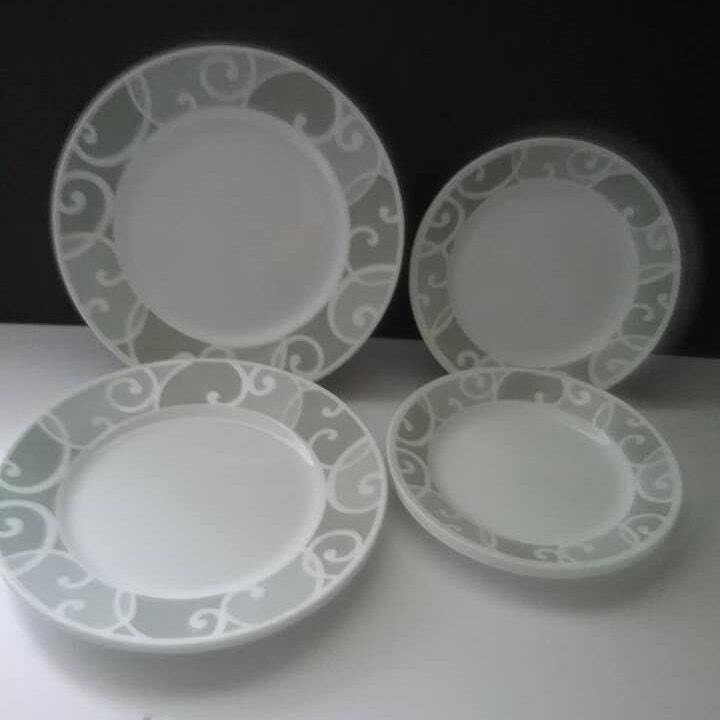 This set will be your "go to" set....light, tough, and a pretty pattern...what more could you want in dinnerware?? ?